Massage under the influence of own weight is a traditional method used for many years. It has proven as efficient and safe way to improve personal health, relieve pain and enhance body’s functional reserves. 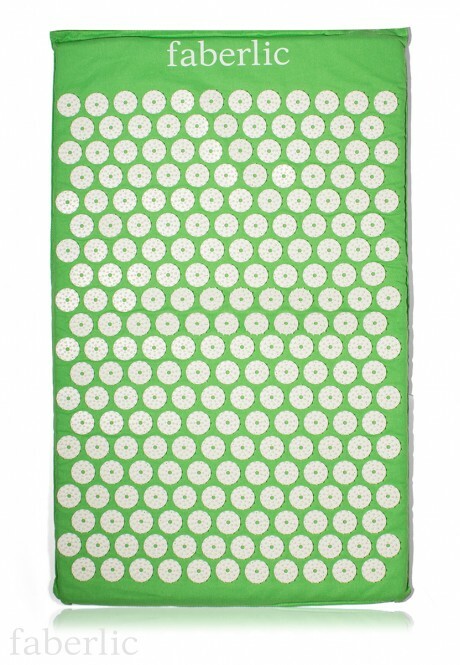 Acupuncture mat is a fabric base with plastic spikes which provide a form of exposure without the risk of skin damage. The mat is designed for reflexothepary of body’s reflex zones: relieves back pains and pains of other parts of the body, improves blood circulation and reduces increased muscle tone. The mat can be used for foot massage to impact the reflex zones of the feet which in its turn influences almost all other parts of the body and system. The mat is recommended for use before sleep in order to relax, relieve stress and fatigue.